In the boom bust economy orchestrated by central- and fractional reserve banking, the stock market tends to peak before the onset of a recession. Contrary to popular opinion, an ever rising stock market is not an indicator of a prospering economy. If anything, it is a sign of a sick one. A surging stock market does not create real wealth for an economy. All it ever accomplishes is to shift the distribution of wealth and facilitate yet more money creation. As a continuously rising stock market over longer periods can only be brought about by inflationary policies (i.e. an increase in the quantity of money) and as inflationary policies can only serve to inflict damage on economic progress, a rising stock market over extended periods is a symptom of a regressing economy rather than a progressing one. Therefore, the real damage to the economy has in fact already been inflicted during the bull market. Similarly, and for the same reasons, the unemployment rate tends to trough before the onset of a recession. 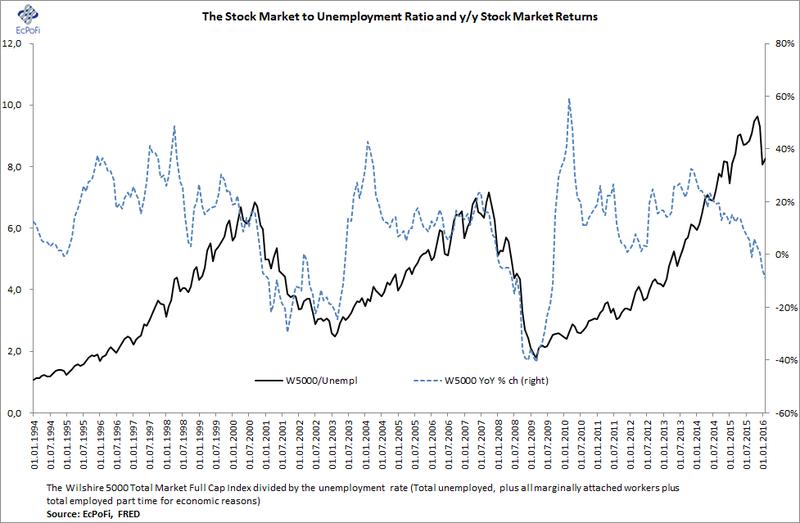 The ratio between the stock market and the unemployment rate hence serve as a cyclical indicator, i.e. 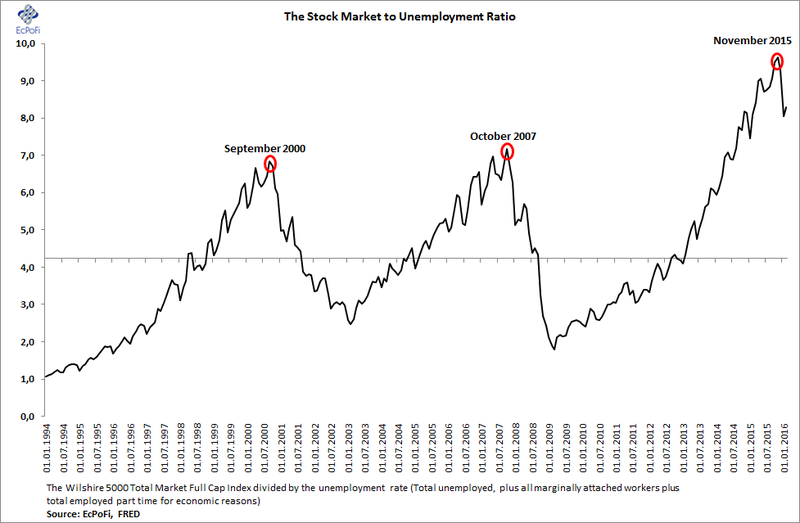 a high ratio signals the economy could turn for the worse with falling stock markets and increased unemployment and vice versa. At least for now, the ratio peaked in November last year. 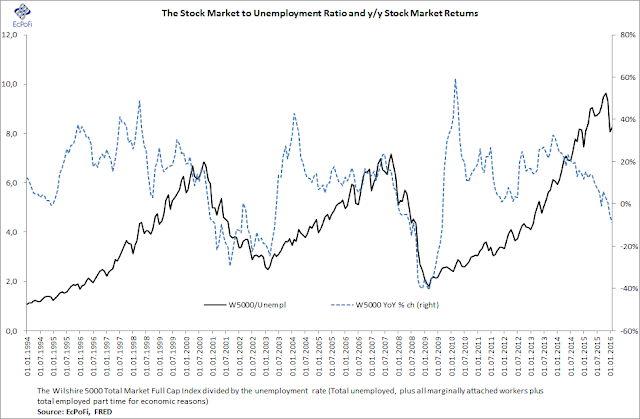 If the past is any guide, the ratio could decline sharply going forward meaning the unemployment rate will once again increase and the stock market will fall further (it has already dropped about 11% since peaking in May last year).